Whether you’re a merchant or user, we’re here to help. Please check the frequently asked questions below. Can I use my Merchant Portal to confirm successful transactions? Yes, transaction data refreshes every 5 seconds on the Live Transaction view. How do I cash up at the end of a shift or the end of the day using my Merchant Portal? Select the custom date and time range on the Transactions view and find the Settlement Total in the Overall Total breakdown. That’s the amount that will go to your bank account. The Bill amount is your Total Turnover for the selected date and time range. Can more than one person receive SMS payment notifications? Yes, this can be added under Settings > Transactions Notifications and can be turned ON and OFF when required. The app allows people to rate me. Where do I find the outcome of the ratings and comments? On the Live Transaction view, ratings and reviews are displayed next to the transaction information. The Ratings and Reviews tab in Merchant Portal allows you to filter and display specific outcomes. How can I send a message about a promotion or event to my Zapper tribe? Send an email with an image and a short description to mymessage@zapper.com. Can I download my QR Code from the Merchant Portal? Yes, this can be downloaded from the tool bar under My QR Code. Once I have my Zapper for Bills QR Code, how can I insert it into my invoice? Help documents for specific accounting systems have been added to the Merchant Portal under My QR Code. Can I send a voucher to a specific customer via the Merchant Portal? Yes! This can be done on the Customers tab by selecting the envelope next to a customer’s name. I own more than one restaurant; how do I see all their transactions in one place? We can setup a group view whereby you can view all transactions in one portal. Please speak to your Relationship Manager for more information. I only want to receive Rate and Review notifications if the customer selects 2 stars for Service. The thresholds can be edited in the Settings page under Rate and Review Notification Service. How can I see my top customers? The Dashboard tab displays the top 5 customers. The Customers tab display more and can be filtered by Spend, Visits or Vouchers. Am I able to view my transaction history? Yes! Changing the date range in the Transactions tab gives you the ability to view transactions in the past. You can also print it out. My business is closed on a Monday, is it possible to start my week on a Tuesday? Yes! The week start day can be changed in the settings page on the Merchant Portal. How can I see the busiest time of the day in terms of sales? The Average Sales By Time Of Day is displayed as heat map on the Dashboard. Am I able to contact a specific customer? Yes! This can be done by clicking on the envelope next to the customer name in either the Ratings and Review tab or Customers tab. We will send them an in-app message on your behalf. Why did I not receive my Zapper Discount as promised? I. The user already received a Zapper Discount. Zapper Discounts are validated against a user’s mobile number and card details. If users are sharing the same card, the first transaction for that card will be rewarded a Zapper Discount but the second will not. II. Certain merchant types for example Donations, are not configured to allow Zapper Discounts. 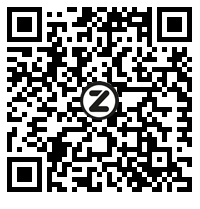 If you are unsure if you’re eligible or not, scan the QR code below with Zapper to confirm your Zapper Discount status. My payments keep declining, why? Is your card activated for e-commerce transactions? If not, please contact your bank to activate this feature. Does the merchant accept your card brand? Some merchants may not accept all card brands, e.g. Diners Club. Does your card holder name consist of a hyphen? If so, please remove the hyphen from your card holder name and re-register the card. Has your card expired? Please check the expiry date on your card. Can I add a password to the Zapper application? Safety is our first concern and we have provided the ability to set a password within the Zapper application. Navigate to the menu within your Zapper application and tap on Settings. Select ‘My Zapper password’ under the Privacy settings tab and add your own unique password. Select ‘Password’ to apply to all actions. The “I forgot my password” feature will reset your password settings, keeping in mind that resetting your password will also clear all your account information and you will need to add your details again. Safety first! What if my phone gets stolen/lost? You can mail our Support team at uscustomer@support.zapper.com, requesting that your account be locked with immediate effect. Please provide us with the mobile number and email address you registered with, so that we’re able to access your profile. What happens if my card is stolen? When a bank flags a card as stolen, Zapper is notified and our fraud teams will stop the processing of any transactions and assist you / your bank as much as we can. Why did I not receive my Zapper Discount? Zapper’s once off discount offer for first successful transactions has been discontinued. We are in the process of removing all related marketing materials and thank you in advance for your patience.